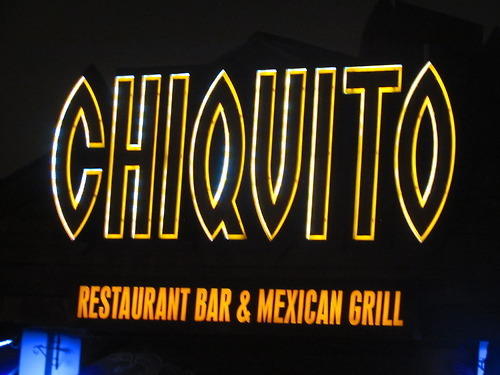 Chiquito's has long been considered West Birmingham's answer to South American food, with a familiar 'Mexican' cuisine that pleases regular customers and general passers by. It is the first left on the Wolverhampton Road's major junction and will leave you full, happy and satisfied. It isn't a romantic venue, but great for couples and groups; you can book a table either online or on the phone, but get there at the stated time or they might give your table away if it's busy. Starters: Nachos (£4.95) and bbq chicken wings (5.95). Typical starters for a 'South American' restaurant, but we were satisfied. The nachos were warm, with melted cheese, guacamole and salsa, and the chicken portion was large, the meat was succulent, we were happy campers. Mains: Vegetable chilli quesadilla, and southern fried chicken mixed with bbq pork. Considering most restaurants of this middle-of-the-road quality serve below average vegetarian options the quesadilla was a delicious surprise. The vegetarian chilli was a mix of beans, onions and salad. skin-on-fries, corn on the cob, onion rings, coleslaw and bbq sauce! You won't leave hungry! Drinks: San Miguel pint, (£3.95), a Coca Cola (60p), a Bacardi (£3.25), not cheap, but average you might say. You might want to eat a little bit less if you're having a starter and a main, that said we ate it all! Great if you're hungry, if your appetite isn't that large, skip the starter, and go for a main. 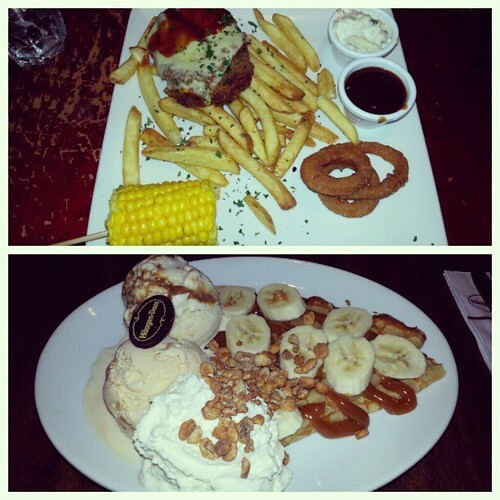 You could share a starter if you really want one, or even share a dessert. Your choice. Generally your eyes are bigger than stomach, so it would be wise to only order a main because the portions are large, however you are given time to get hungry - you can tell they're making the meals from scratch, which is always a bonus in my eyes. The atmosphere is one to be desired; it was very busy, noisy, and they play 'traditional' Mexican music. It's a lively venue, and at times you can hear other people's conversations, however, for a Saturday night the service was superb - we were seated within fifteen minutes, only had about a fifteen minute wait for each of our courses. Once our drinks were served, of course, we forgot about the time. 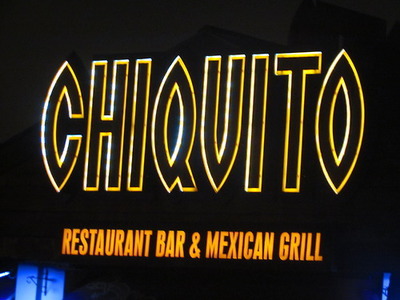 Chiquito's are keen, on getting everyone 'in'. Customers were packed in tightly, and the seating was a little close for my liking, nonetheless you get decent, if not a little commercialised 'Mexican' food, but we'd definitely go back. I had the yummiest virgin pina colada here whilst I was in the UK over Christmas and it transported me back to the sunny skies of Dubai - highly recommended! Sounds delicious! My Father and his wife visited recently for their anniversary and I just had to try the chicken and pork dish!